Peace (#) (19? 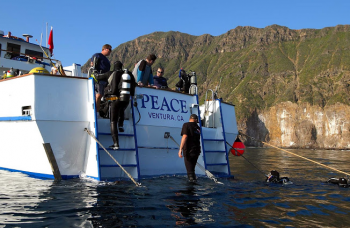 ?+), 65-foot dive boat based in Ventura Harbor, California that offers multi-day SCUBA and Free-Diving trips to multiple California Channel Islands. The vessel is currently owned by Eric and Angie Bowman. 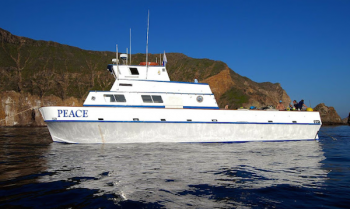 Eric worked on the PEACE as a Deckhand, Divemaster and First/Second Captain beginning in 1994. This page was last edited on 5 December 2016, at 16:52.